I had my camera at work today, and I took some shots of the classroom tank, with my summertime pond fish in it. The first is a hybrid. I gave in to complaints and threw some marigold platys in last Spring. 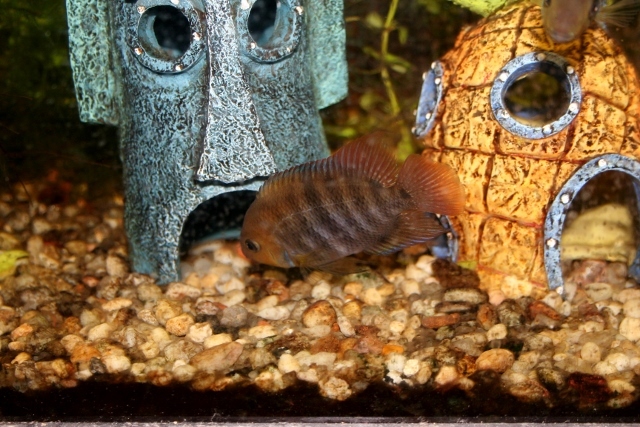 Everyone says my fish are gray... 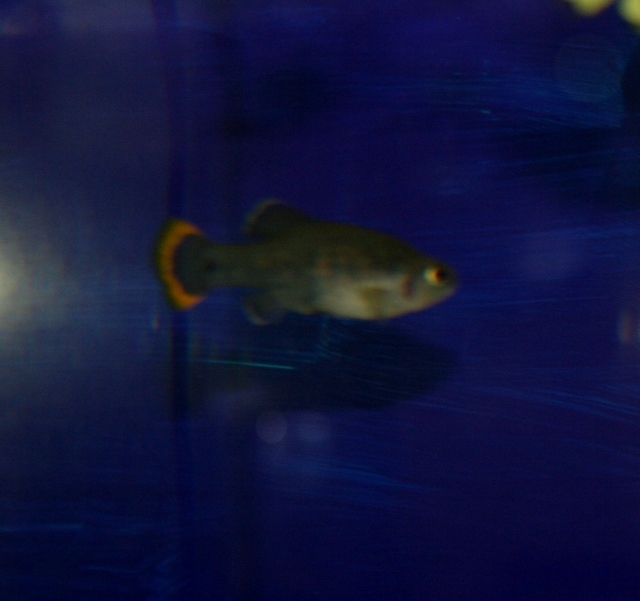 The male marigold died immediately, but the females were in the large pond with an orange swordtail. 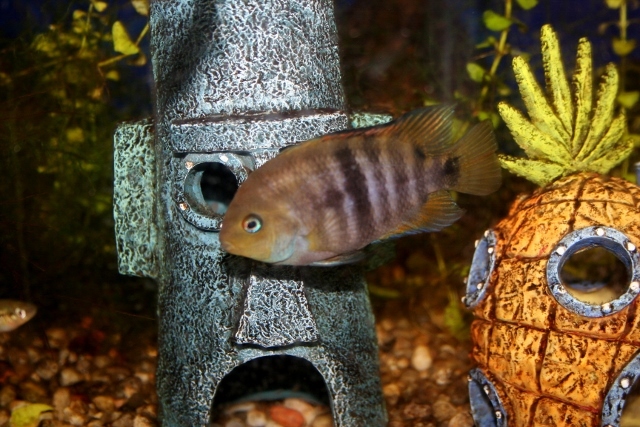 The Platys are all hybrids from the shops - you can't call a pet store Platy Xiphophorus maculatus. The brightly coloured adults were picked off by birds, but plenty of fry survived. From the shape and colours, the father was the swordtail. One even has a tiny sword. The good news is one of the reasons the adults were easy prey is they developed a touch of the dreaded balloon deformity, in their spines. The young have normal, healthy spines. Nice pictures! Are you able to put the sajica out in summer time?! Gary, do you put the tequilas in the pond too? If so how do they fare? Actually, I keep the tequilas there for educational purposes, but they come home for summer. Everyone else goes in the pond. This will be the first summer for the sajicas, but similar species have even bred in the pond. Your students are lucky! 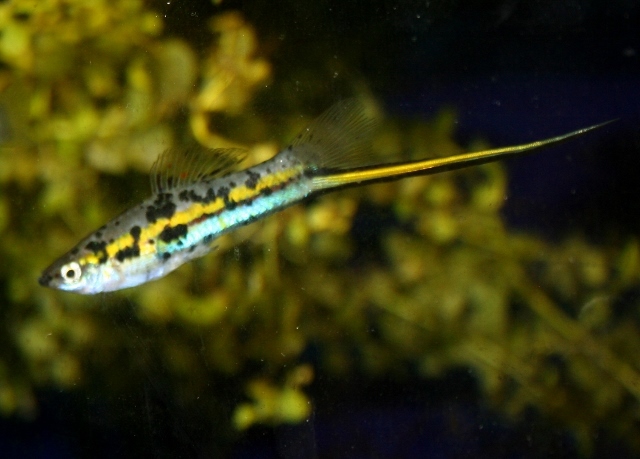 Also, that's a really beautiful swordtail. 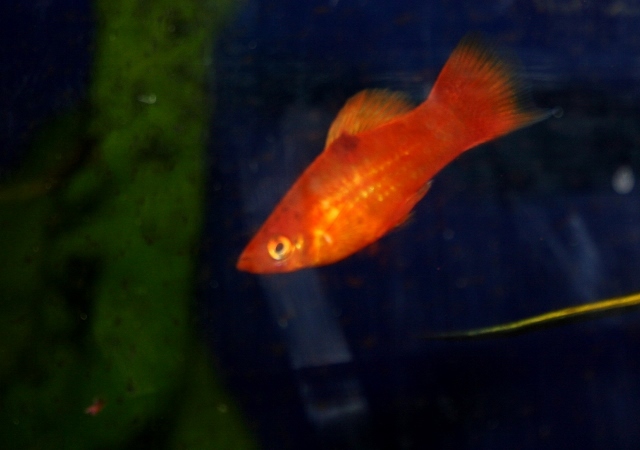 Love the swordtail in the last picture!